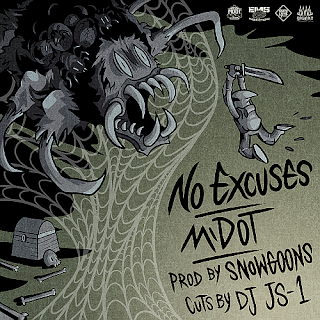 Long-time collaborators Snowgoons and Boston emcee M-Dot come together again for the motivationally driven "No Excuses." 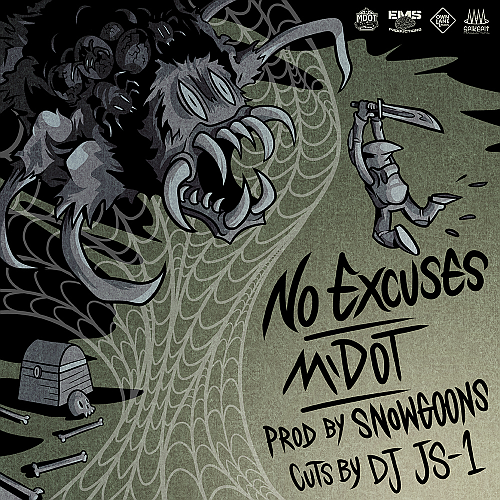 The German producer team lay down infectious drums for M-Dot who obliges with verbal acrobatics, all the while delivering a message to the lazy.....Stop Making EXCUSES & GO GET IT! Cuts provided by the legendary DJ JS-1 (Rock Steady Crew).